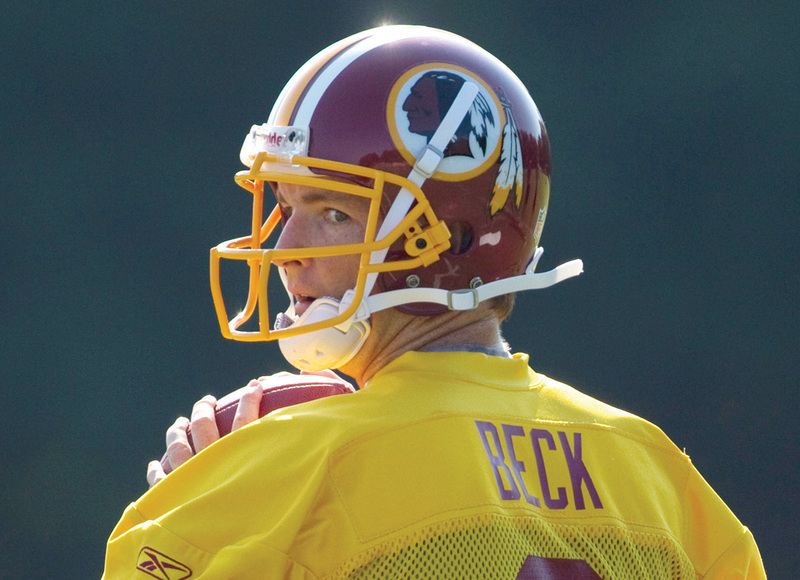 After getting a good look at Rex Grossman in the Redskins’ first preseason game against the Steelers, we’ll finally have the chance to see what John Beck brings to the table this Friday against the Indianapolis Colts. Will he impress the legions of Skins fans who scratched their heads this offseason when Shanahan named him the starter, or will he raise the bar of delusion to new heights? Friday will set the tone for John Beck’s tenure in Washington for better or for worse. Are we ready? Talk about it!